PRICE REDUCED! Clean, ready to move in second floor unit. Fireplace and in unit washer and dryer. 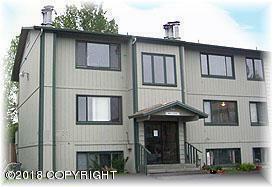 Easy access to UAA and UMed District, Base Access, Tikatnu Commons, covered parking.